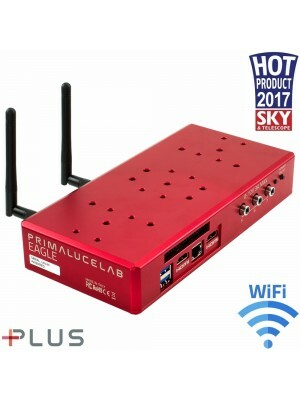 If you want to power EAGLE (that can power all other connected devices) and use it from a fixed station such as an observatory, you can connect it to an AC adapter power supply. 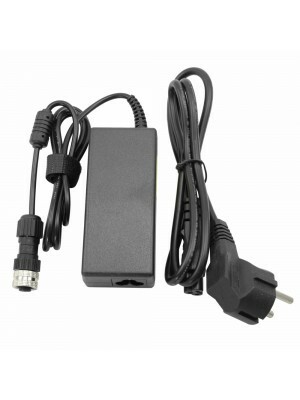 This 12V power supply comes with a screw connector for EAGLE on one side and a plug for the socket on the other (compatible with 100 to 240V). The 12A version has a slightly higher voltage (12.8V instead of the standard 12V) because when you are powering from the EAGLE many accessories with high current consumption, you can see a slight decrease in voltage which, in this way, it is perfectly balanced. Total maximum power consumption: 3A. For this system we suggest you the 5A power adapter. Total maximum power consumption: 7A. For this system we suggest you the 12A power adapter.